I just love this softie pattern freebie by Jenny from the Allsorts blog. 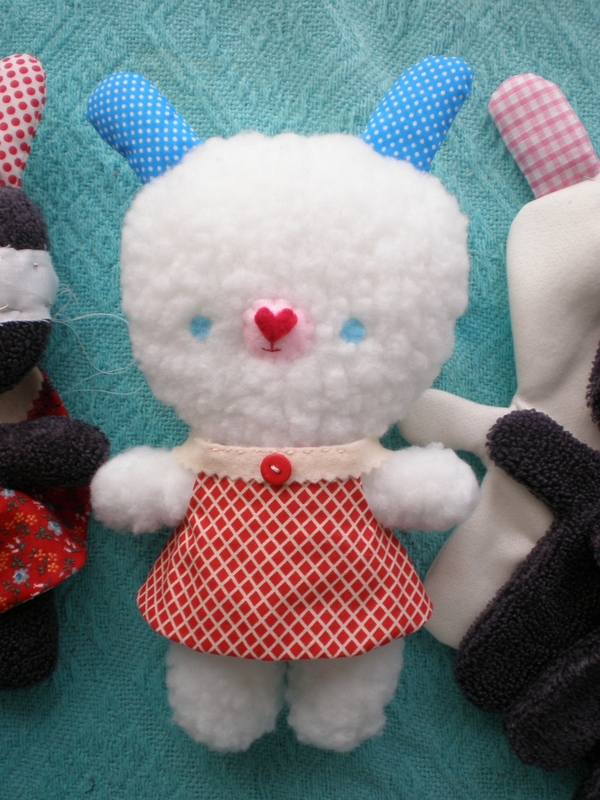 It is so easy to make and the result is so cute! She even has a tutorial and pattern for the little dress. I am making a few of these because they are so cute and I wanted to help out a fellow blogger's "Huggles for Kids" QLD flood appeal. Alas I am too slow and have missed the boat for that one. I started in late January but the softies I was making then were a bit of a disaster. A pic below will show you the uninspiring mess I was making. I realized while making these softies that windcheating fabric does not make good softies! Well not this type. 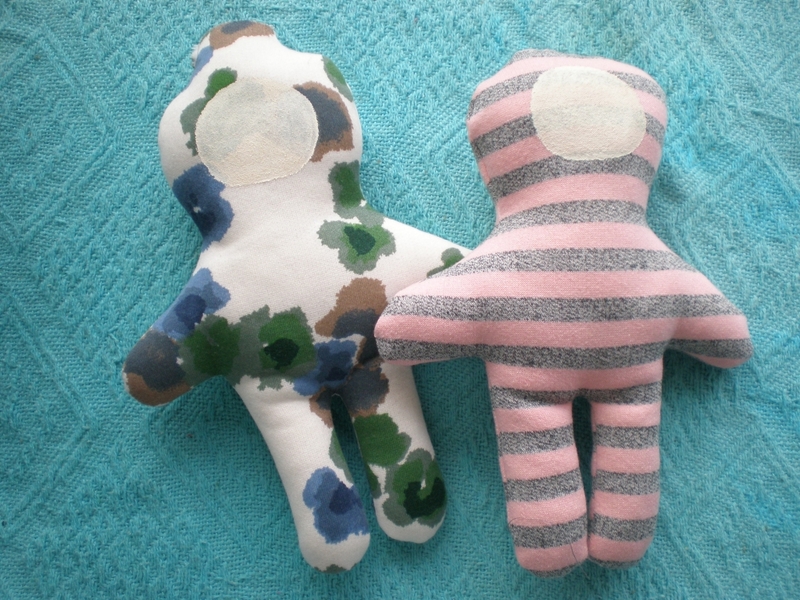 Will paint some kind of face on these guys, make them some clothes and add ears or hair and see if they are good enough to send to Leanne for her on going Huggles for Kids campaign. 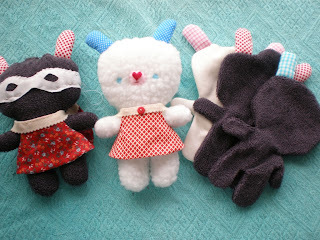 Hopefully if I pull my finger out, I can get all these guys finished and posted off to Leanne for her next delivery. I think all the softies are adorable! A great cause, too. Good for you Kylie! I love your little softies they are so cute. These are so cute...lovely materials you have used. Mega cute Kylie! Love your fur fabric and the cutie pie dresses. Nahh... you just need to finish those cute dresses and they would totally work! I love your softies, so cute!